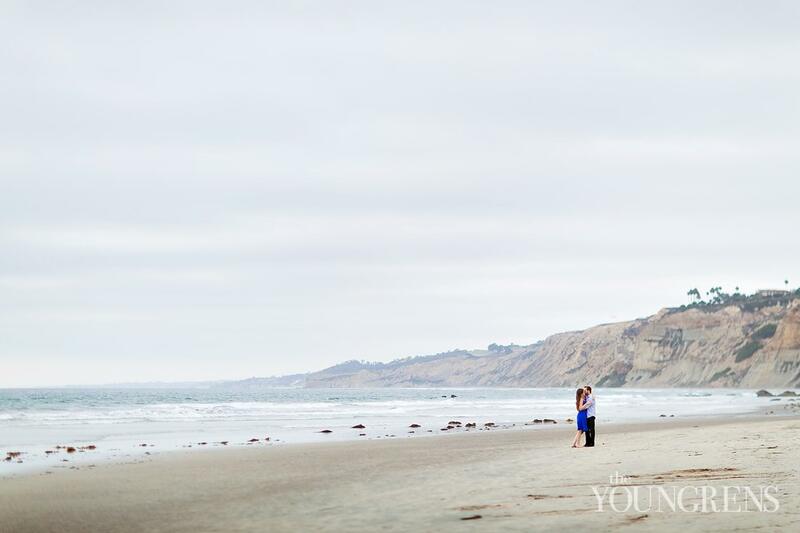 She just wasn’t feeling it.They were taking family photos on the beach for the holidays, and Marilyn pulled a beanie over her hair because at that point, she was sort of over the idea of pictures. 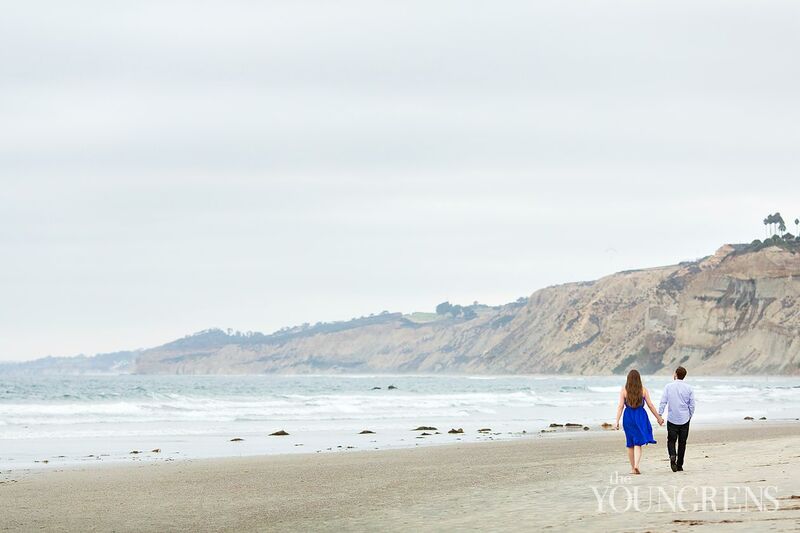 (We've all been there at some point, right?! 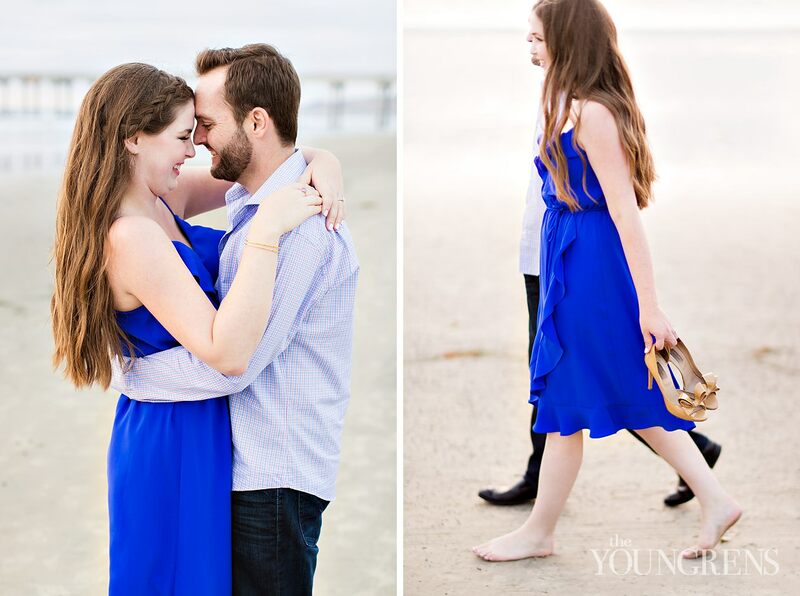 )But then, as they were walking along the beach, Marilyn’s sweetheart Dan pulled a curveball she did NOT see coming on that day.Dan got down on one knee in front of their family, pulled out a gorgeous ring, and asked her to be his wife and spend forever together!Little did she know, these “family photos” were part of Dan’s plan all along, and it was the best surprise EVER!Marilyn and Dan share a joy and excitement to be married that is just plain refreshing! 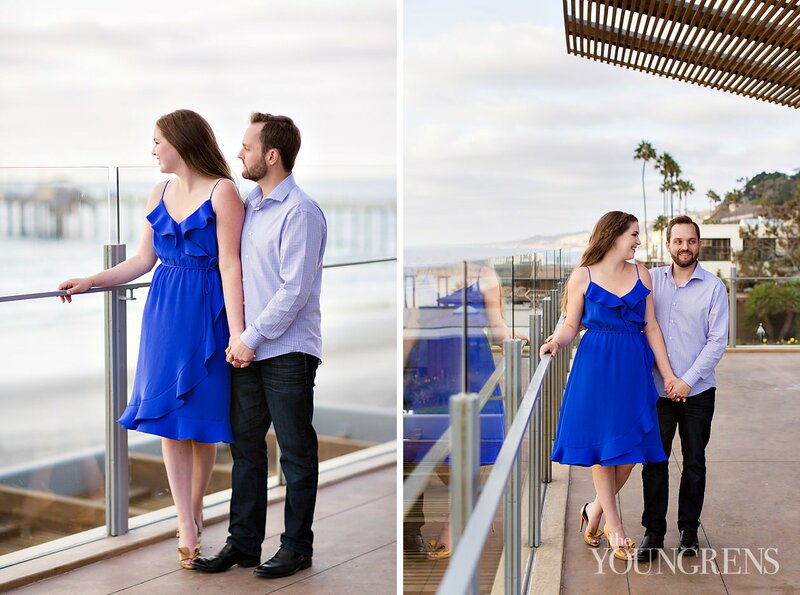 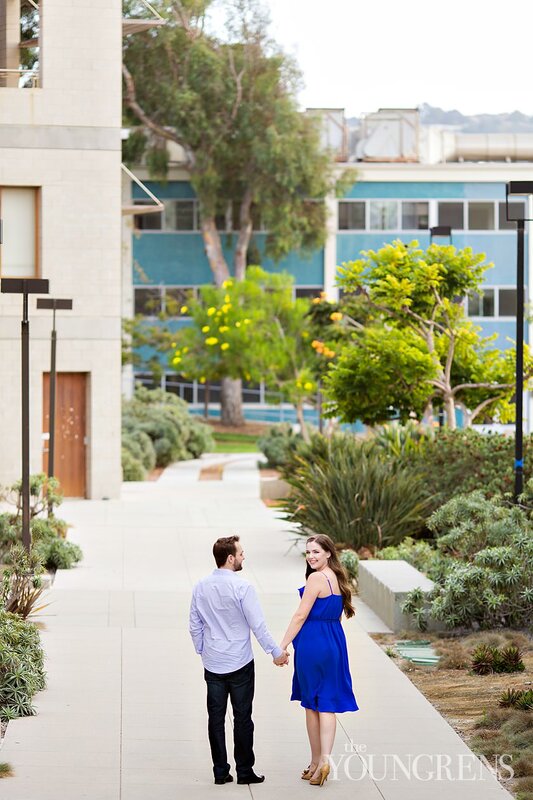 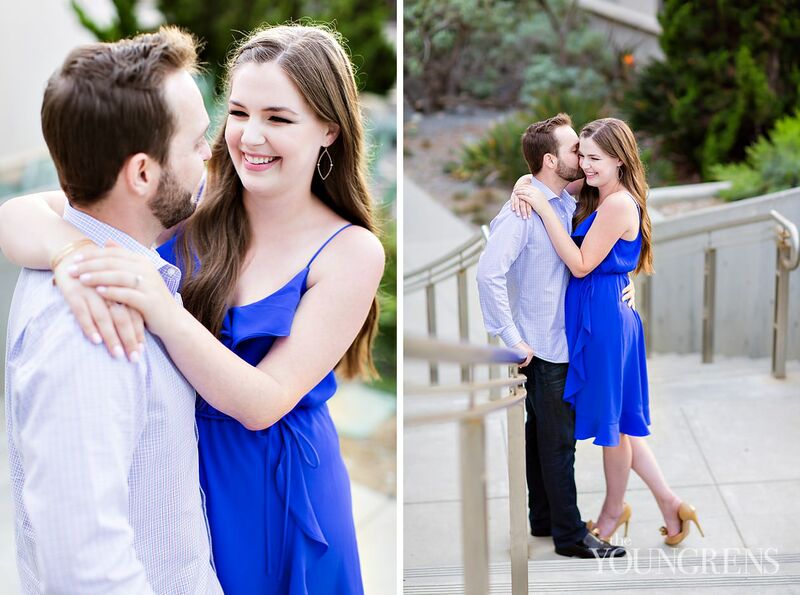 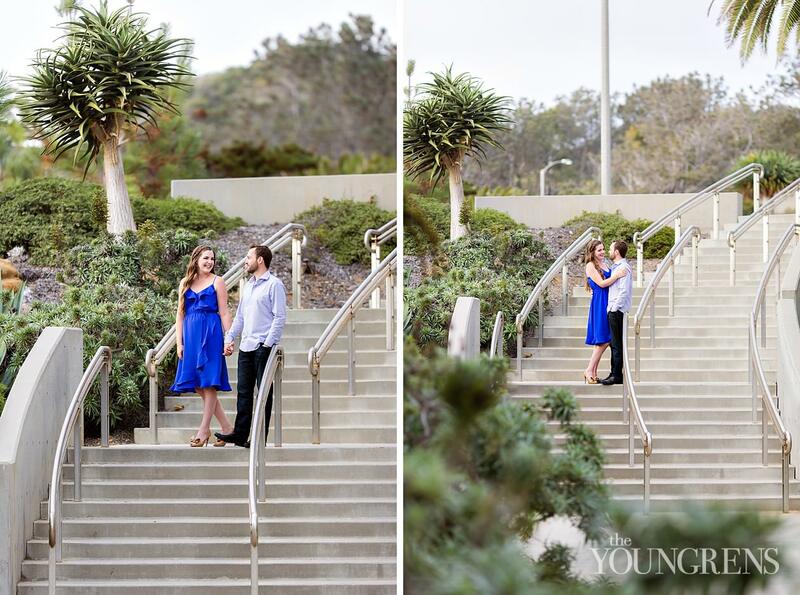 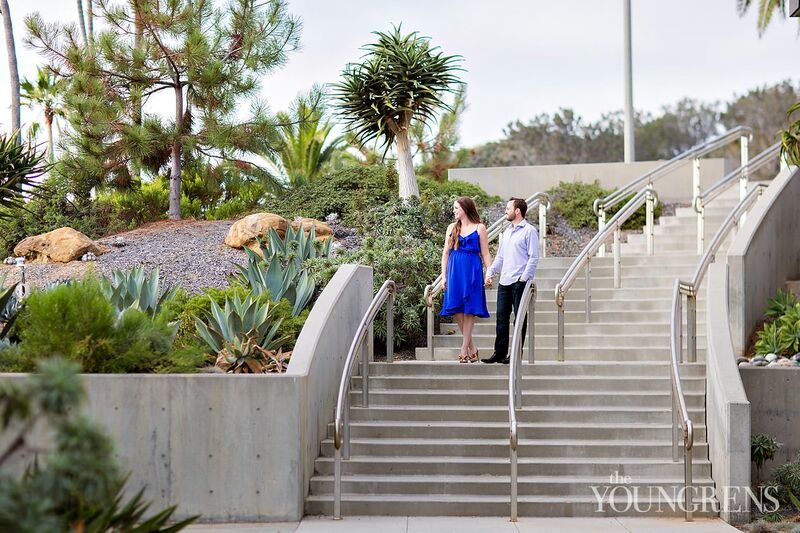 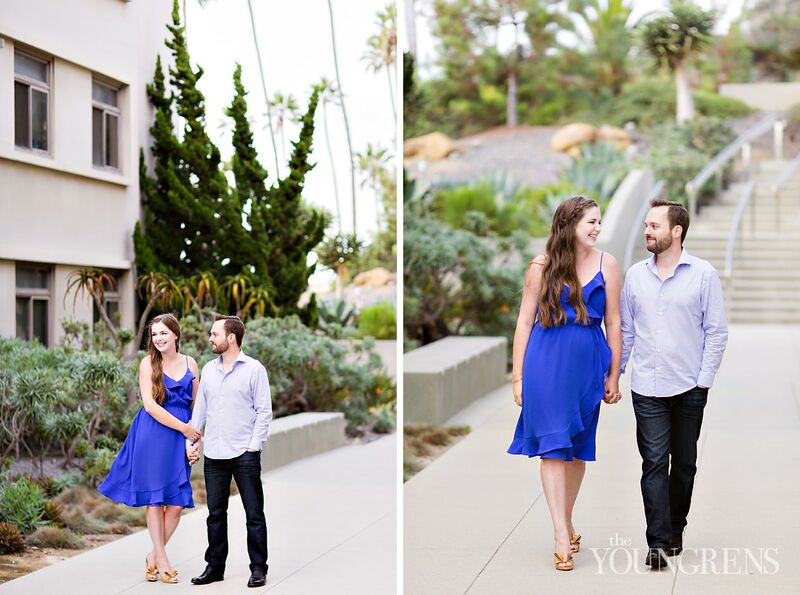 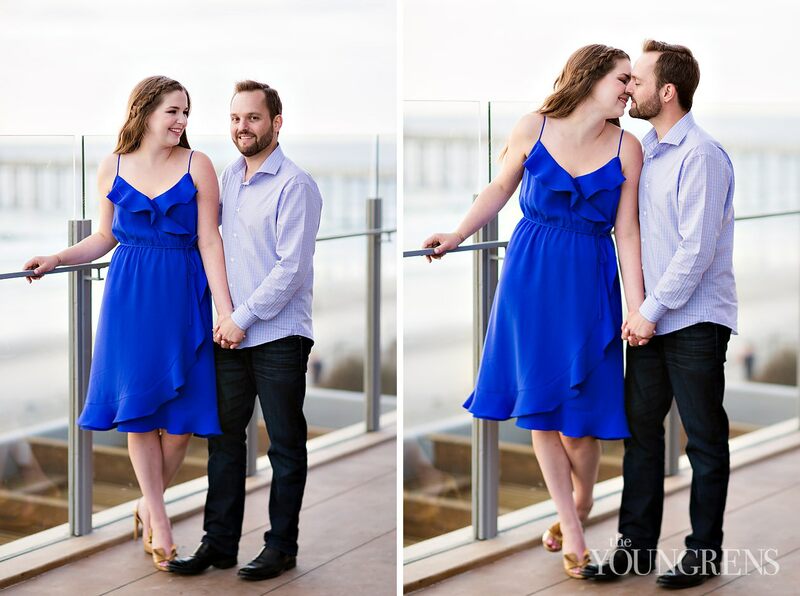 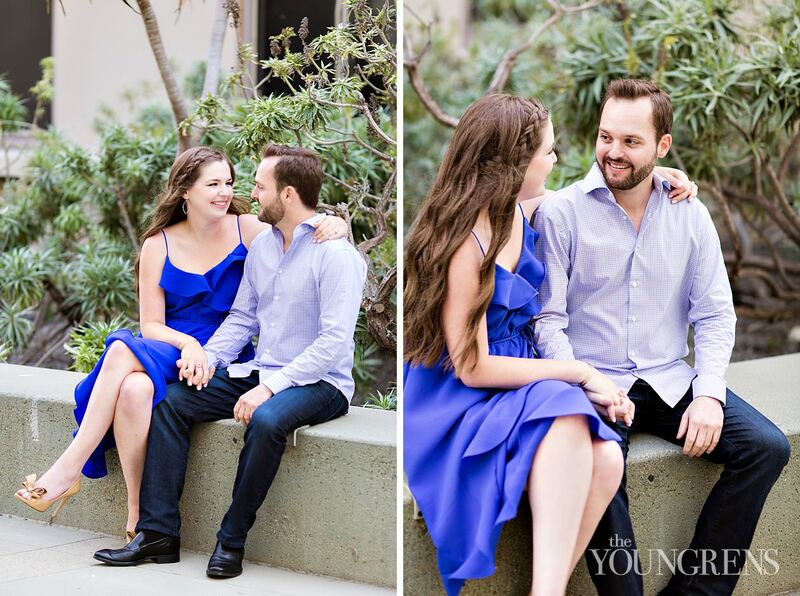 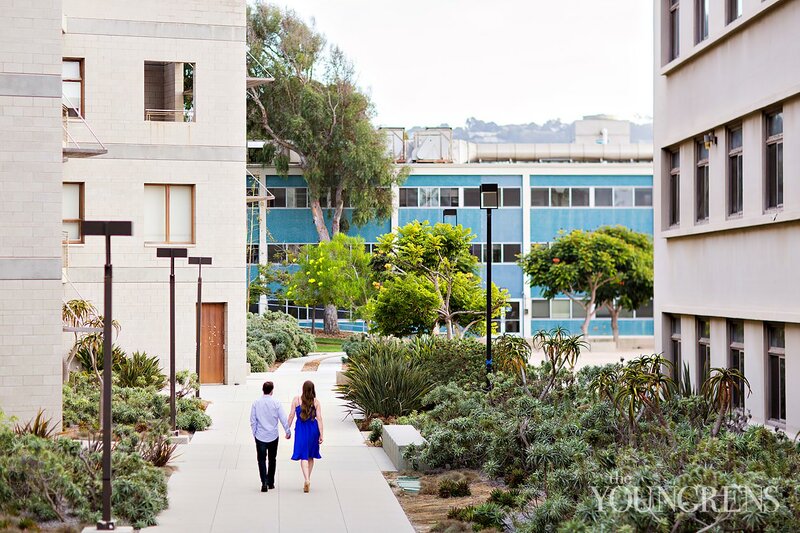 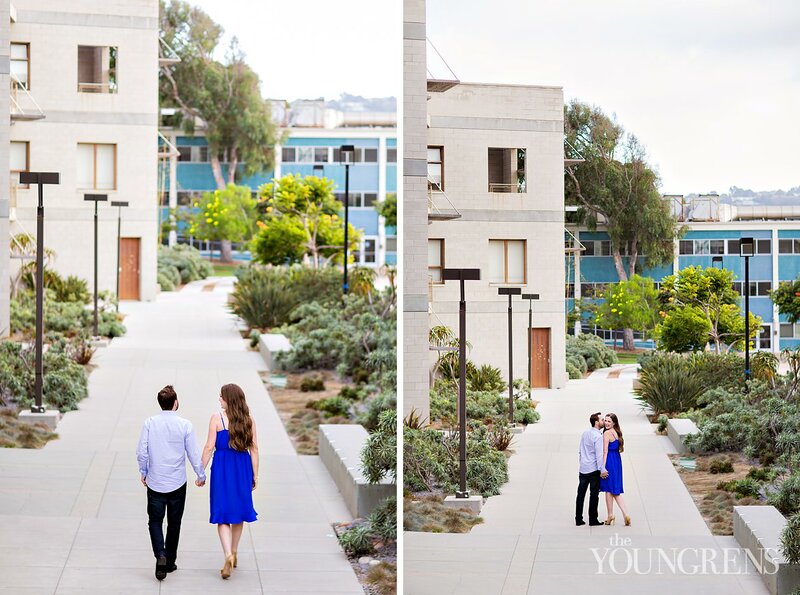 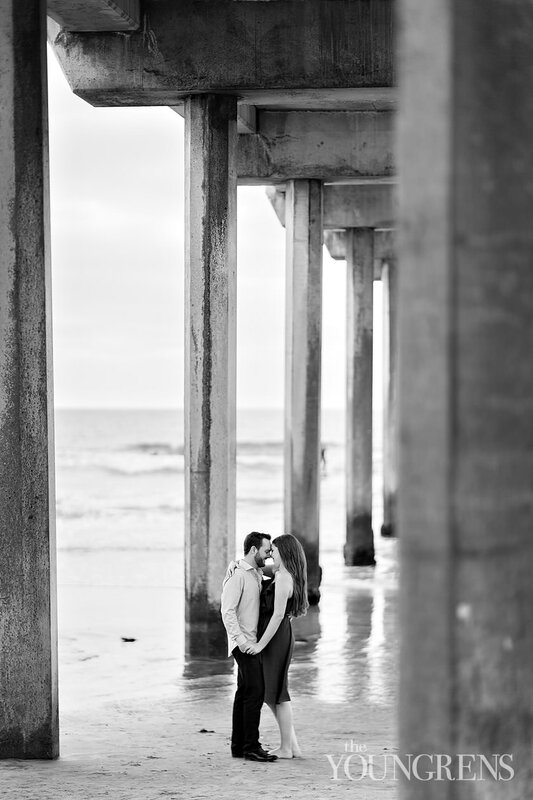 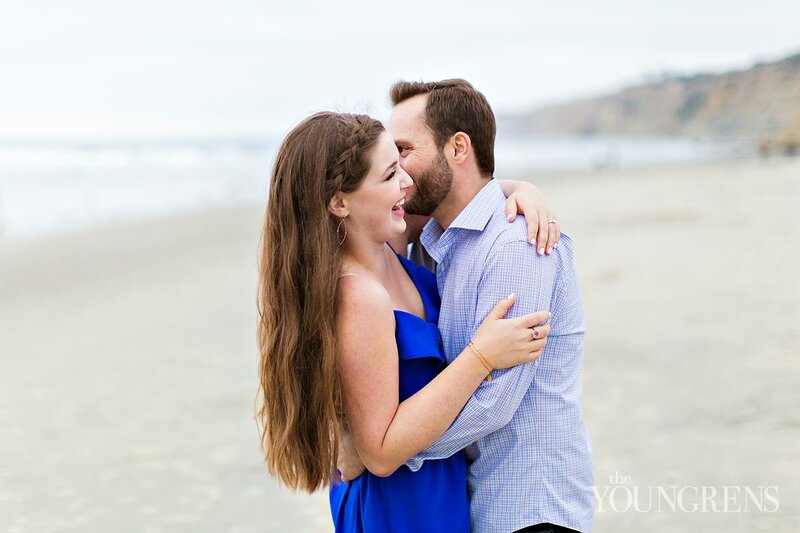 Jeff and I had huge smiles on our faces the whole night at their engagement session at Scripps Seaside Forum in La Jolla. 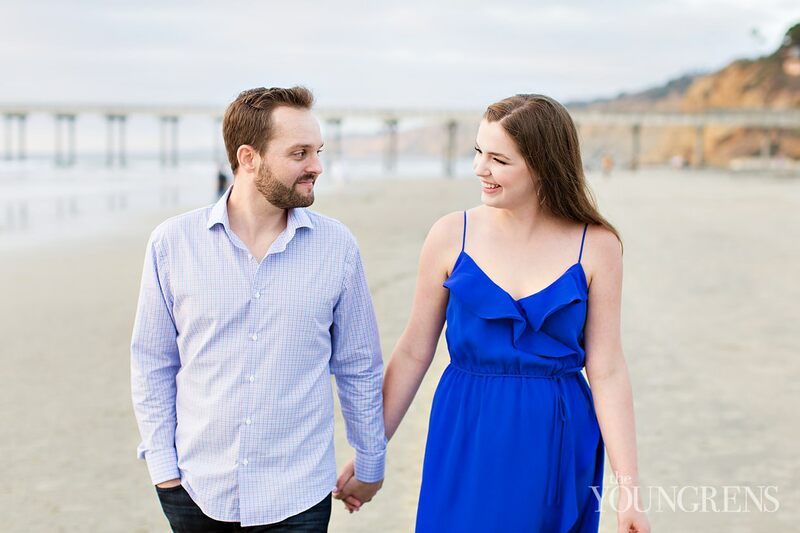 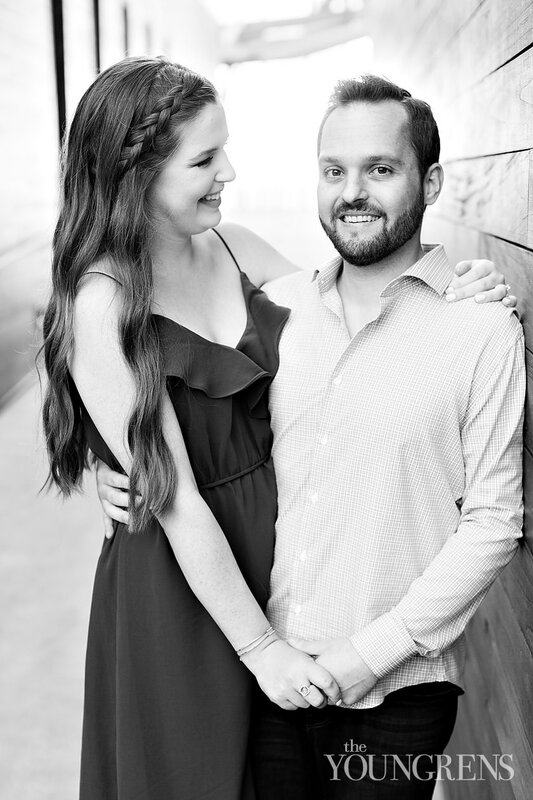 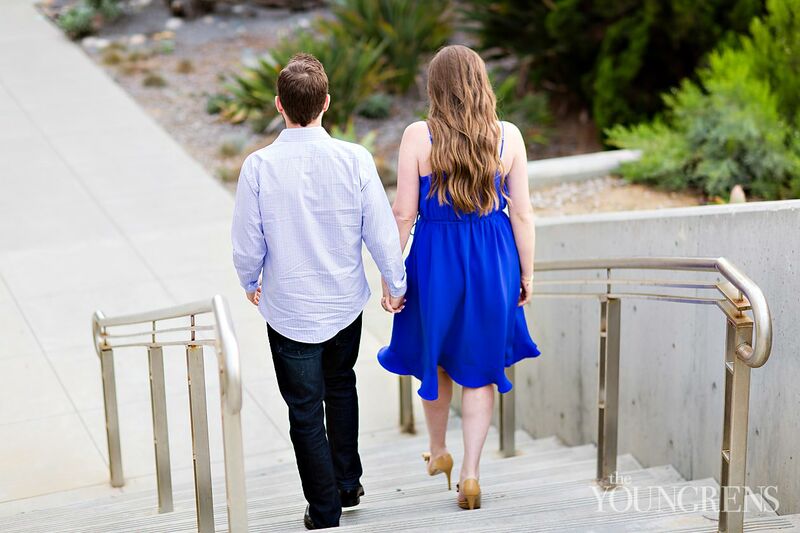 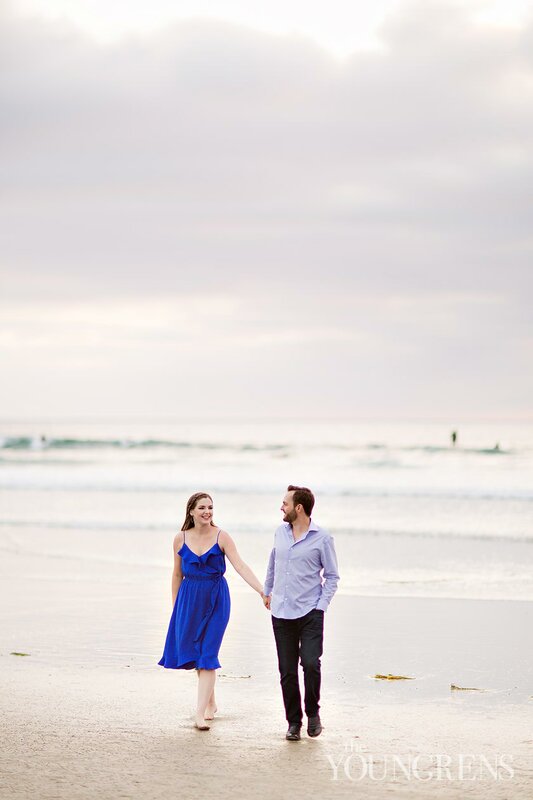 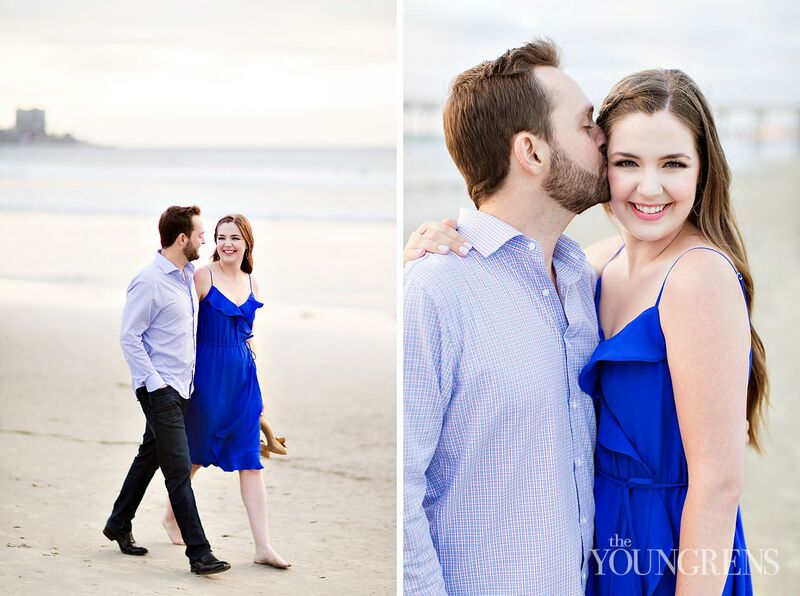 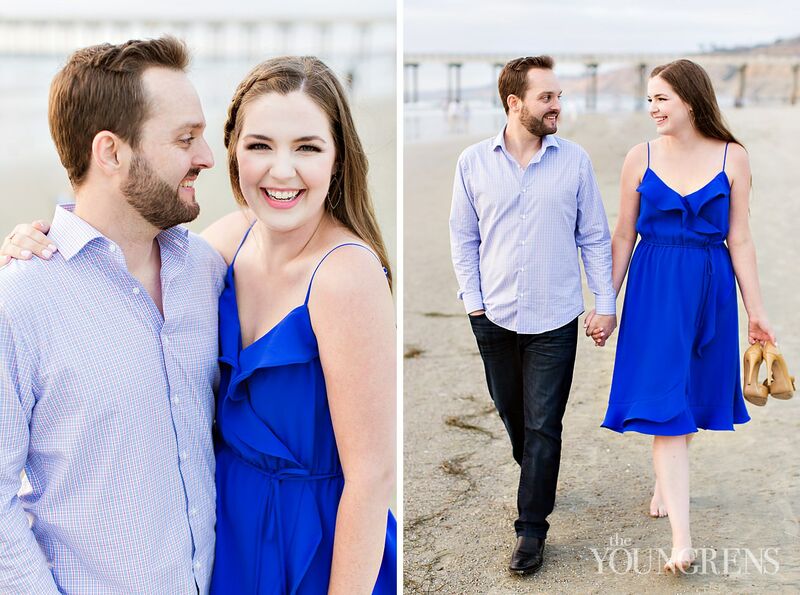 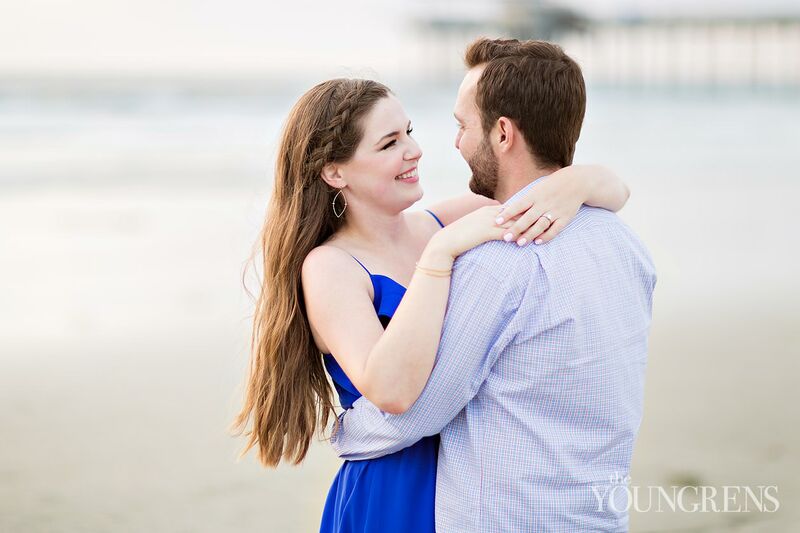 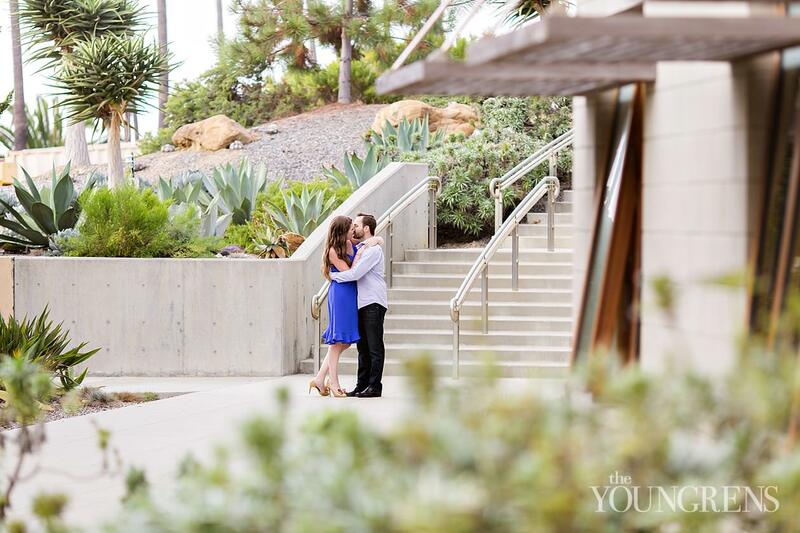 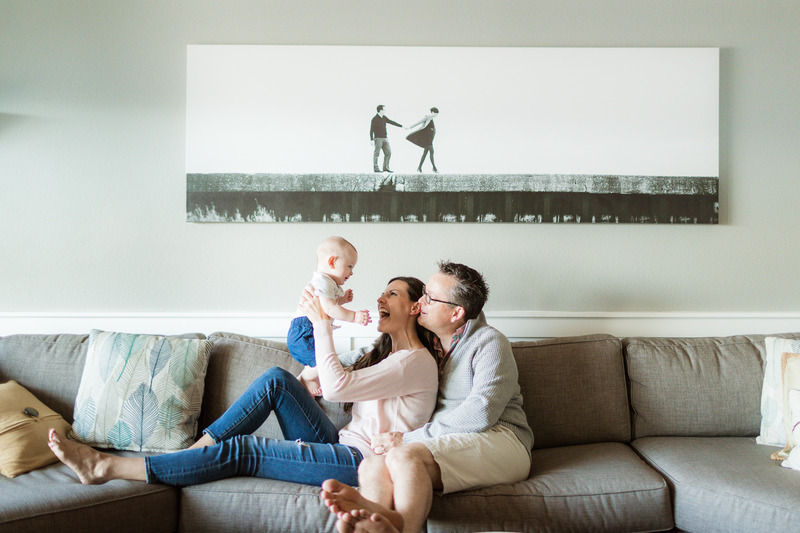 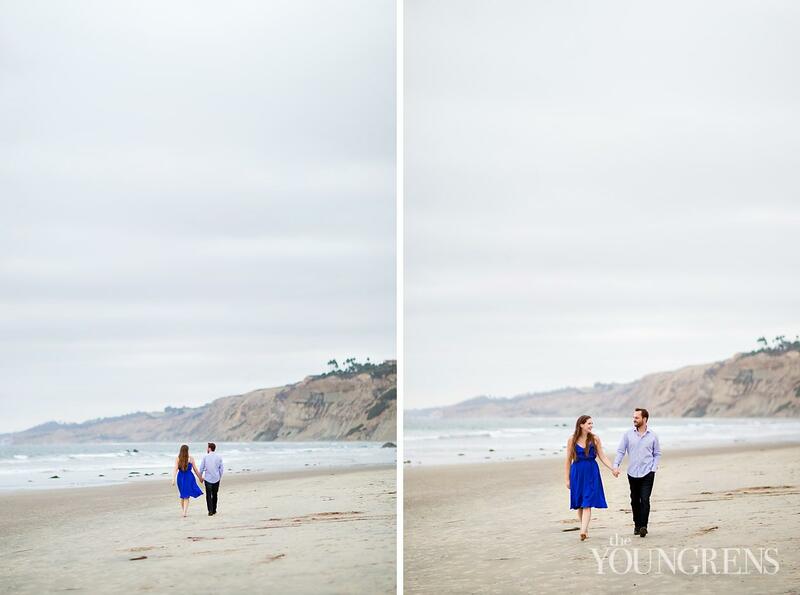 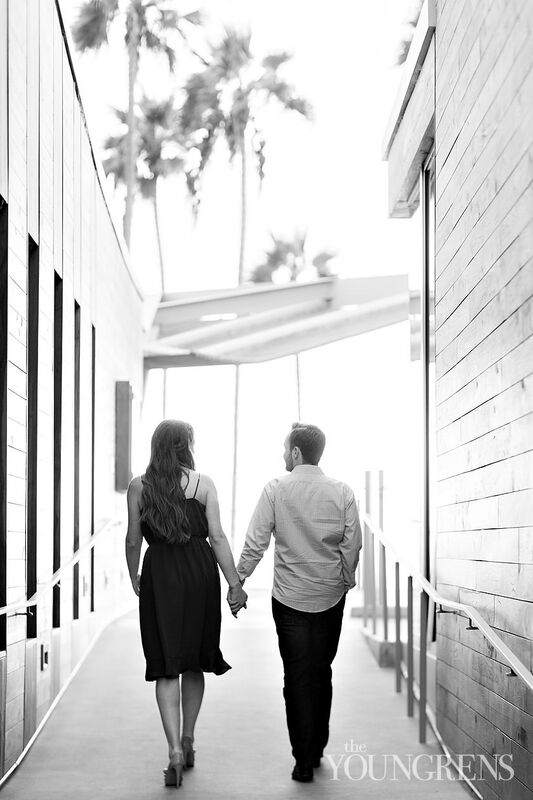 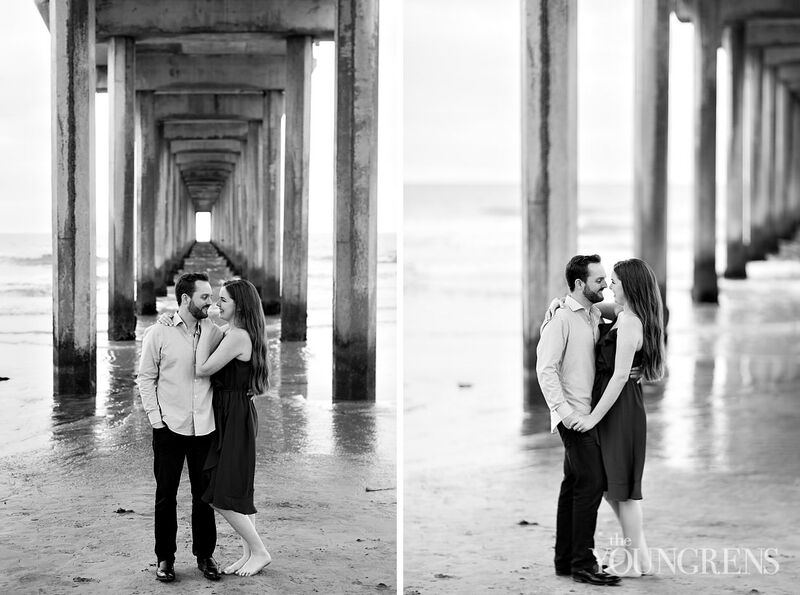 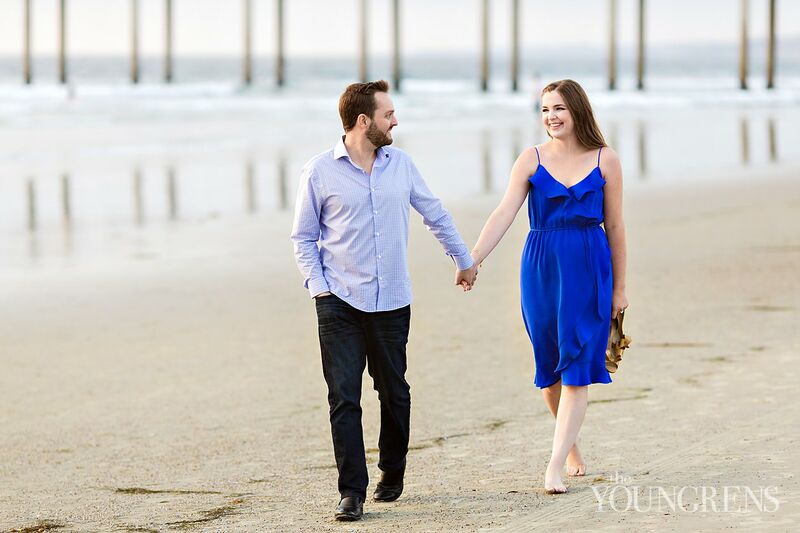 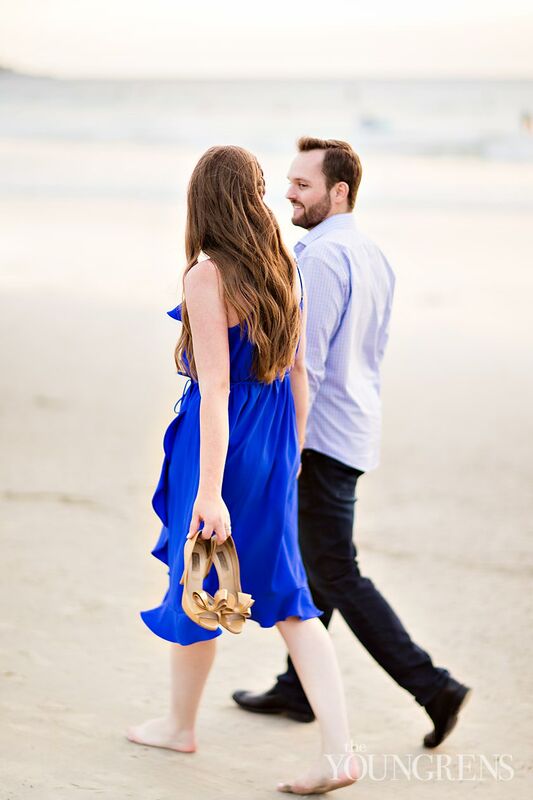 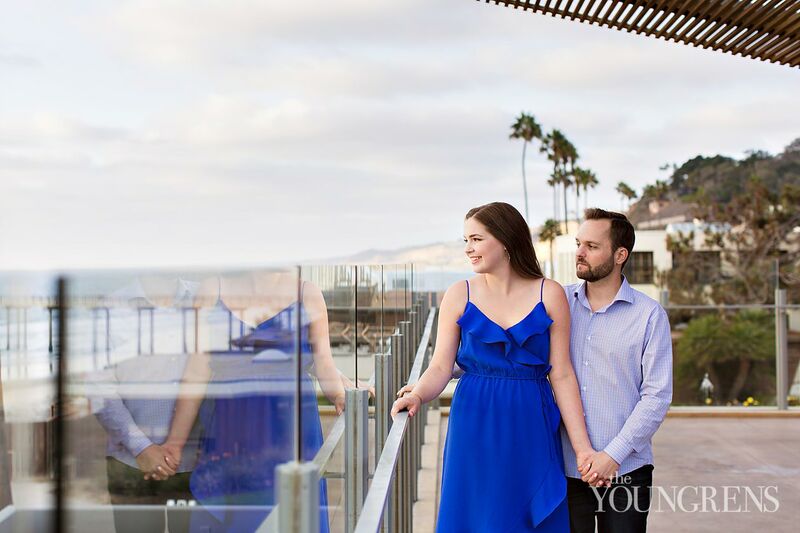 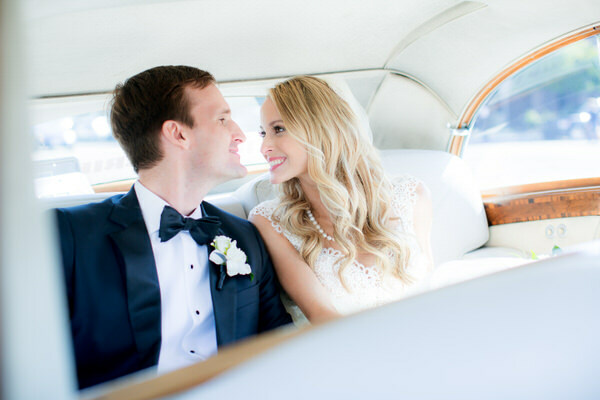 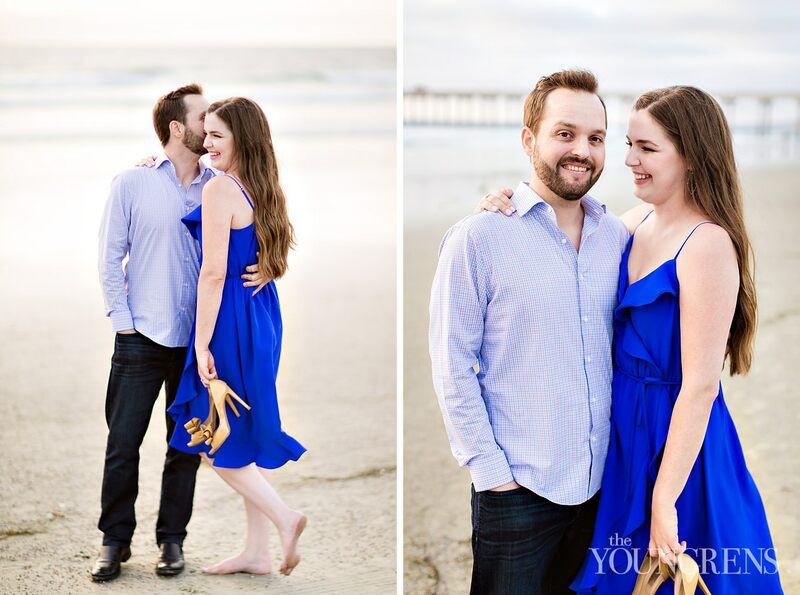 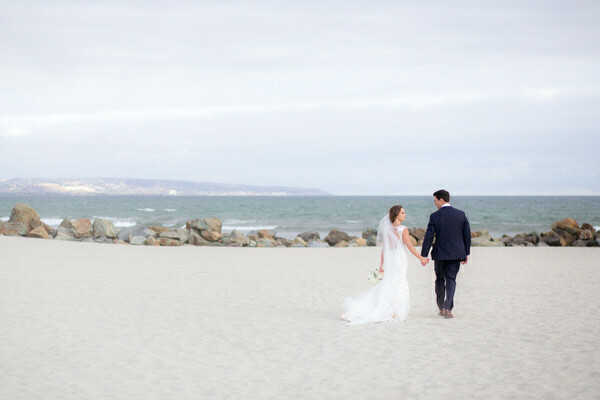 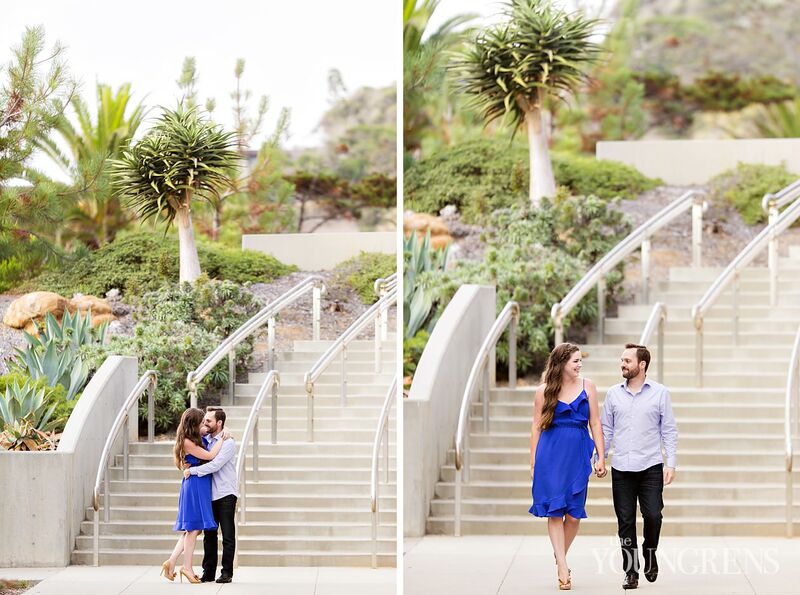 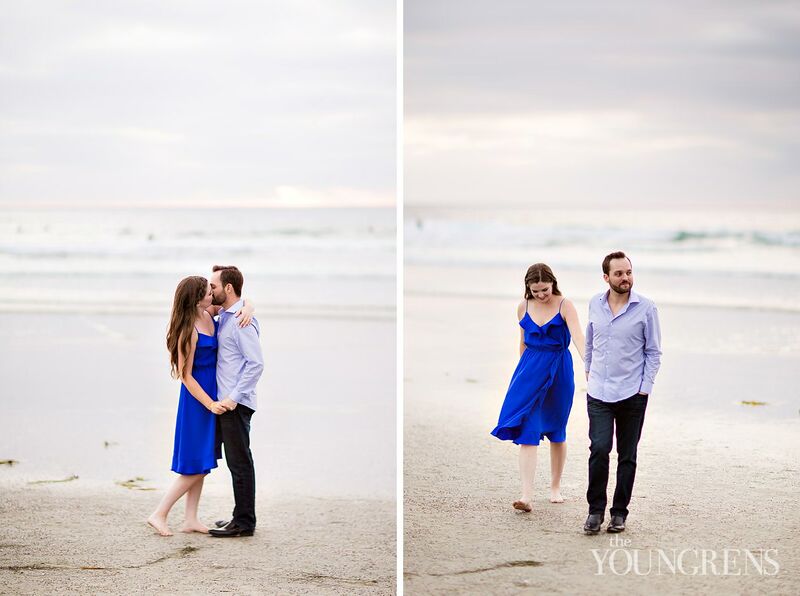 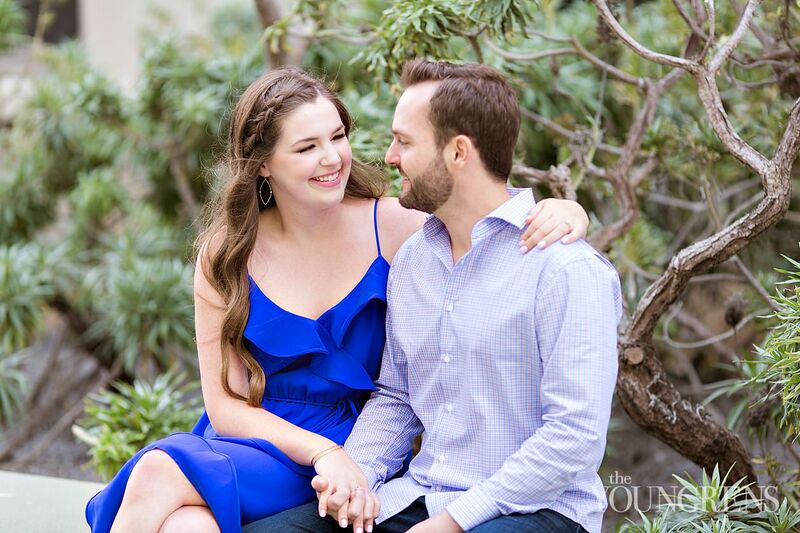 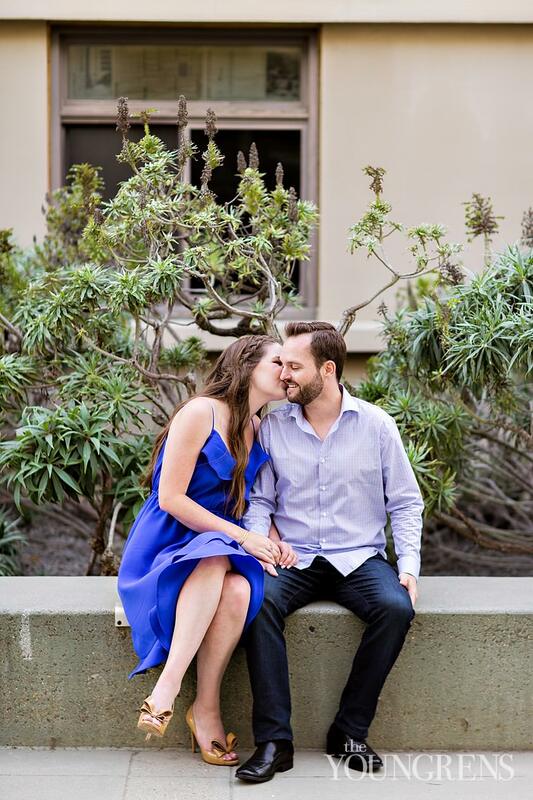 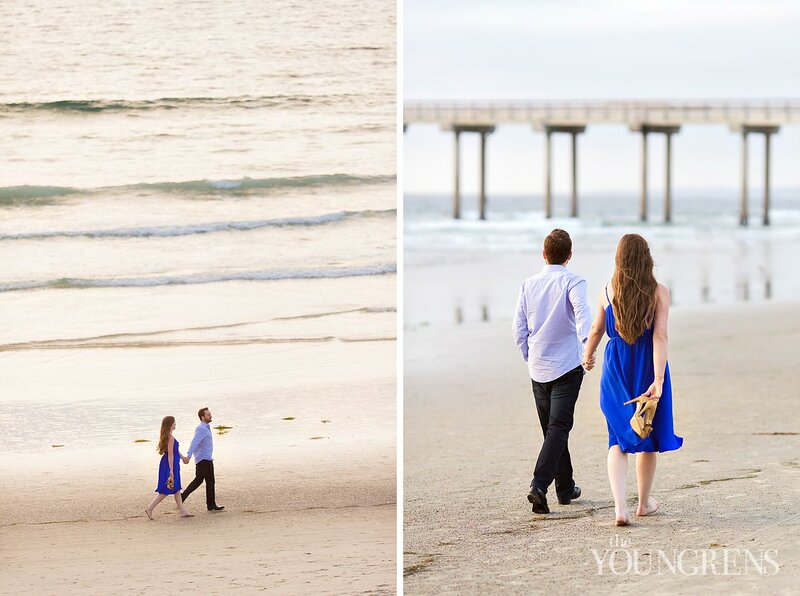 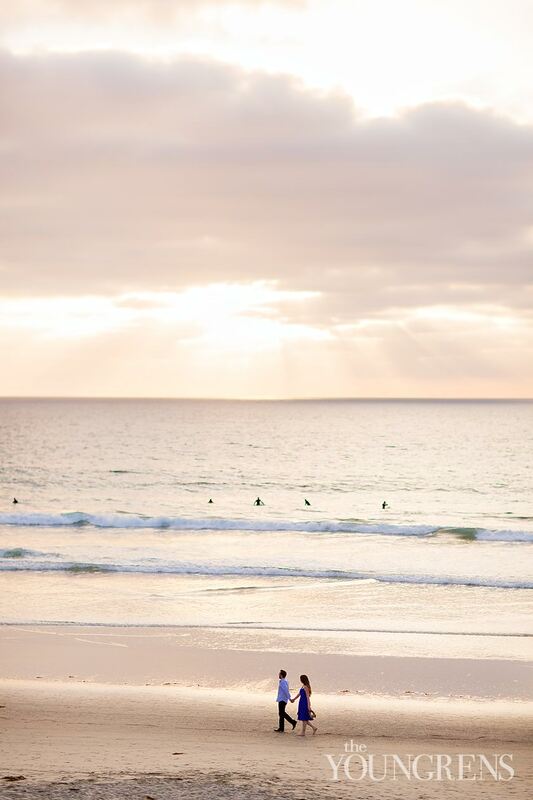 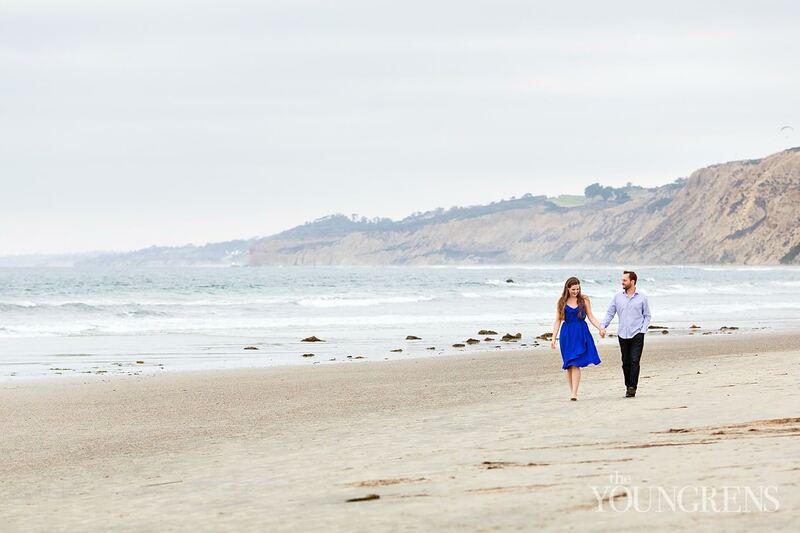 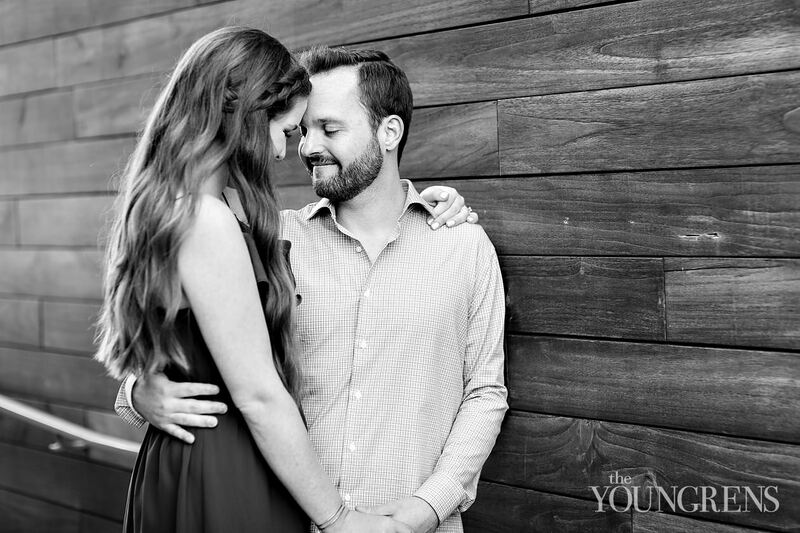 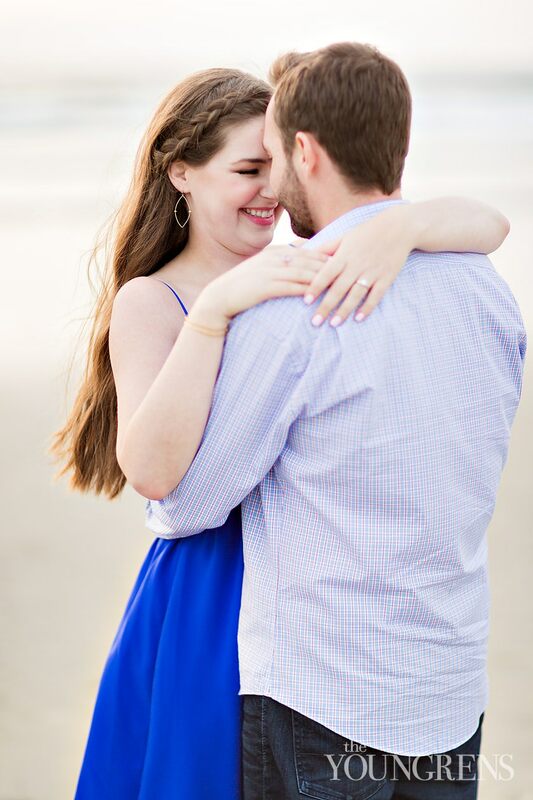 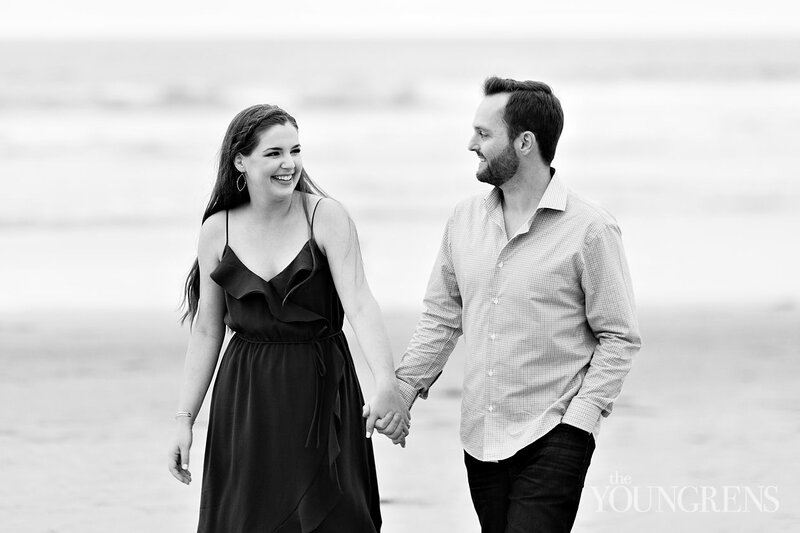 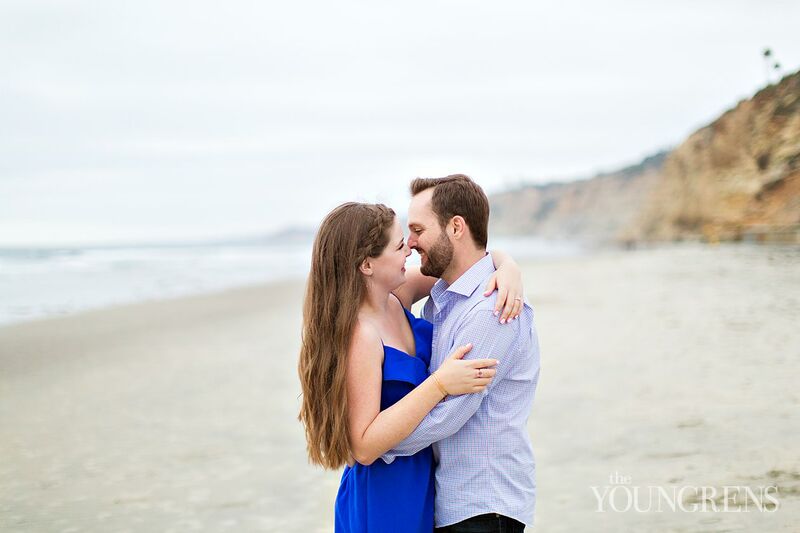 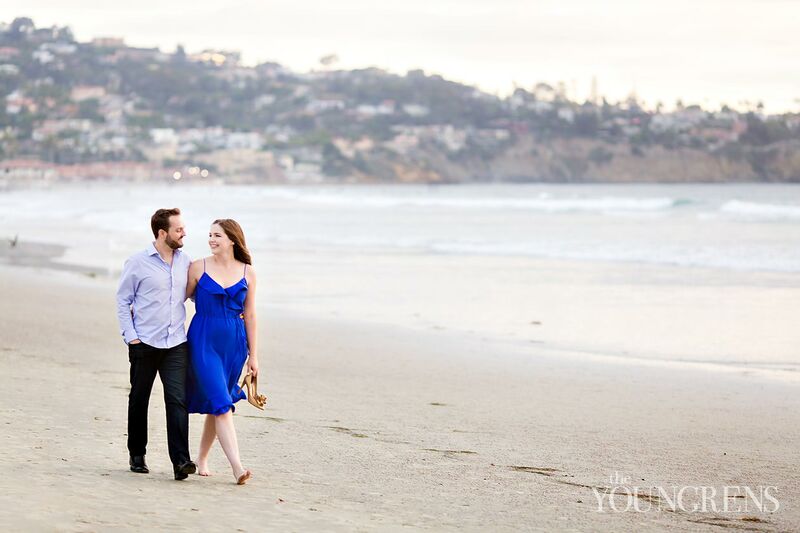 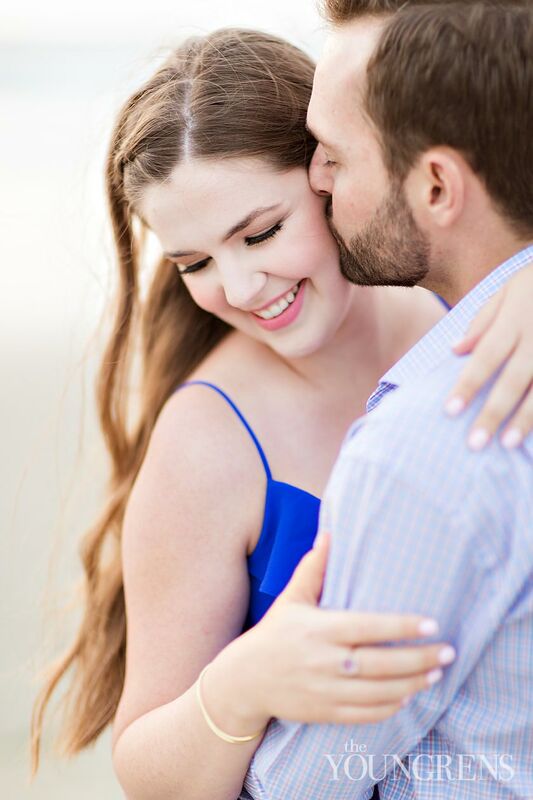 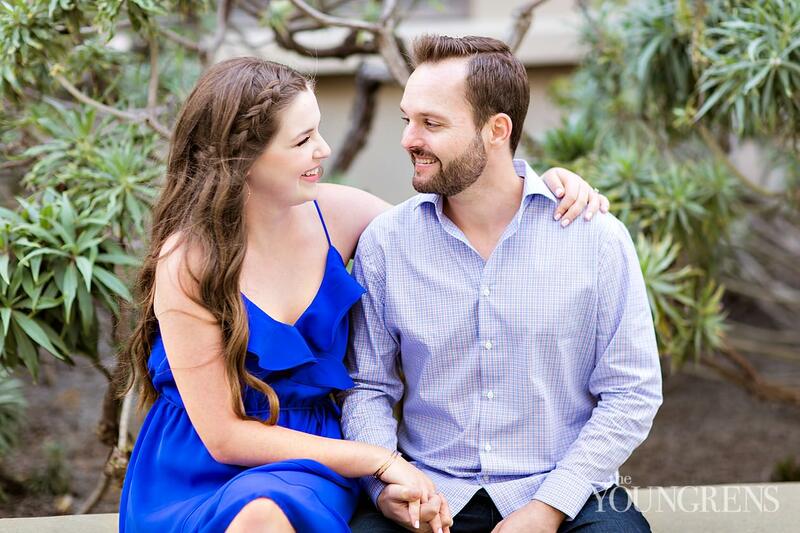 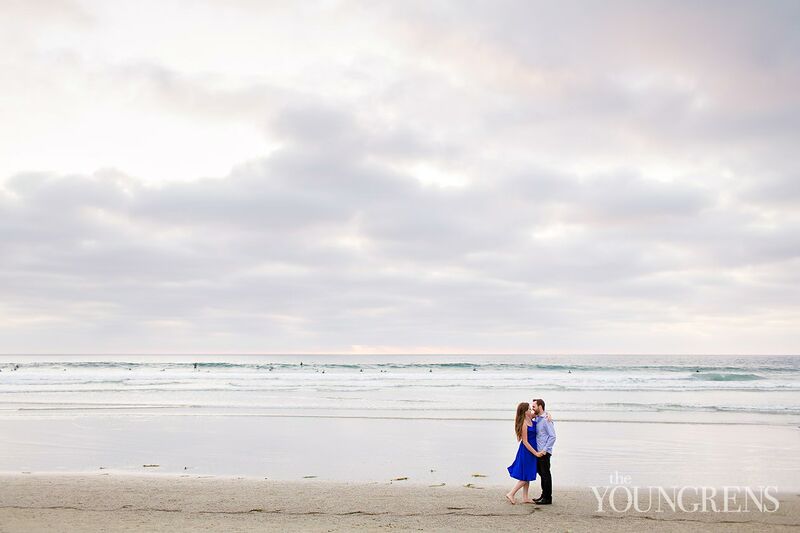 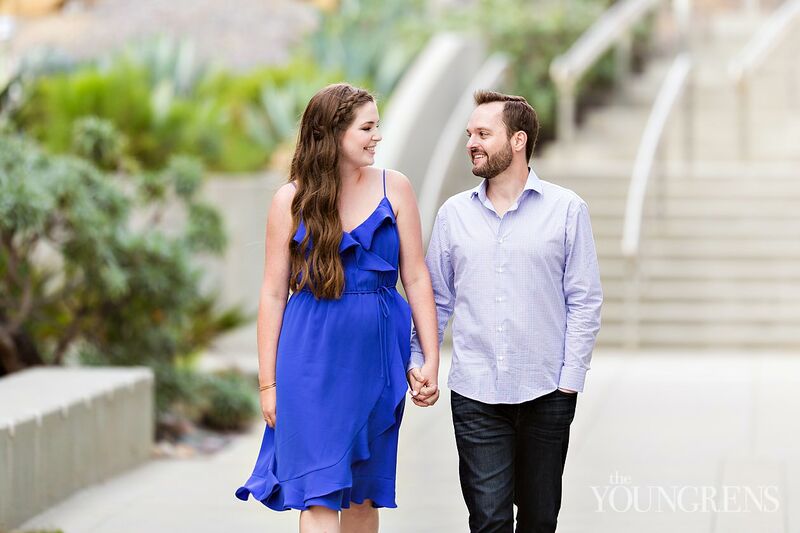 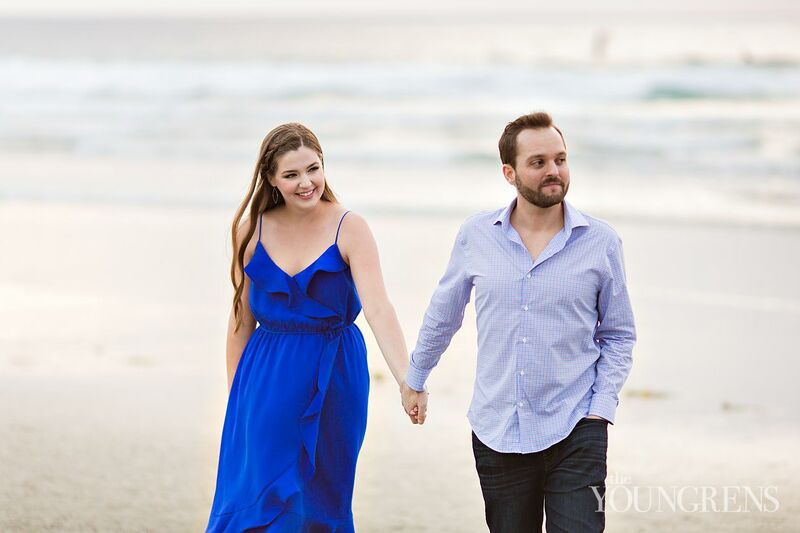 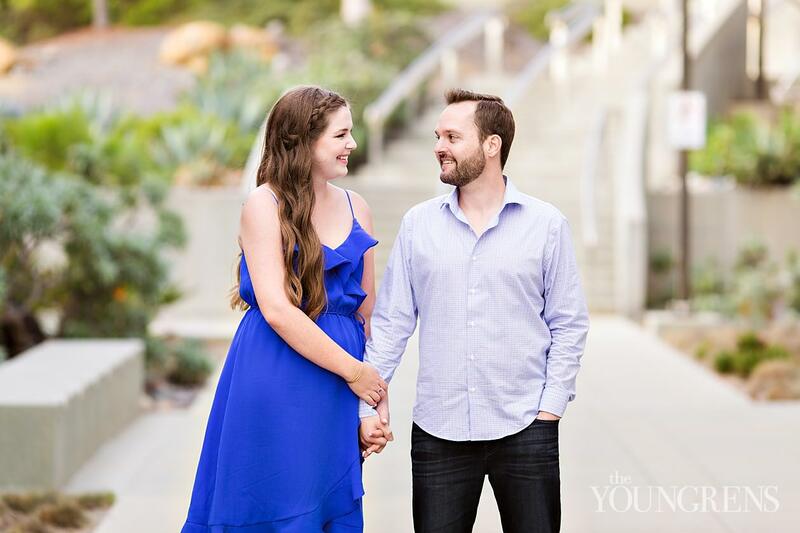 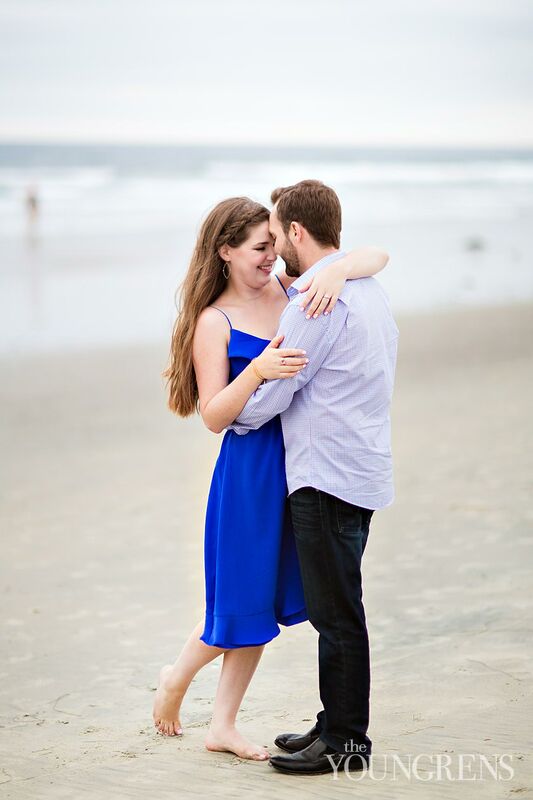 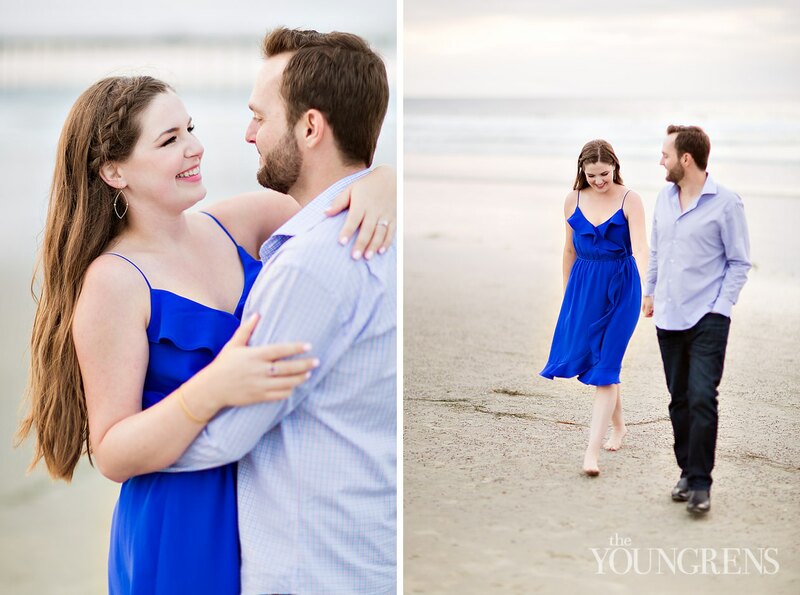 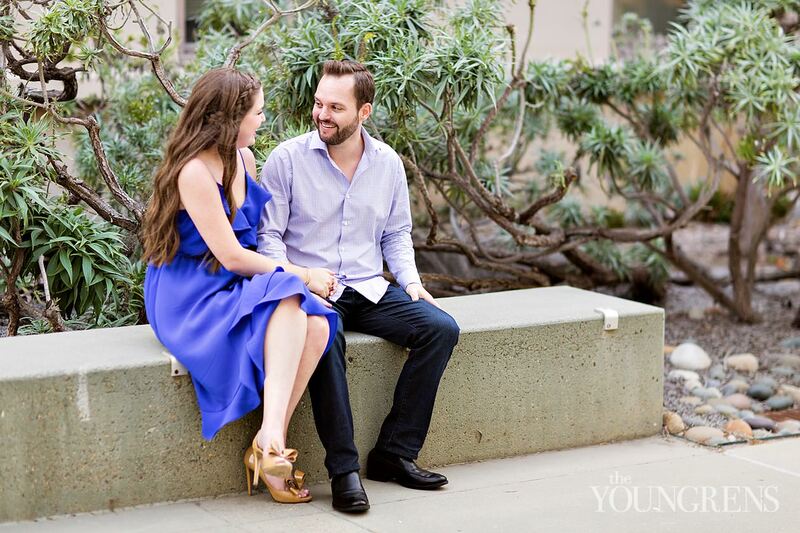 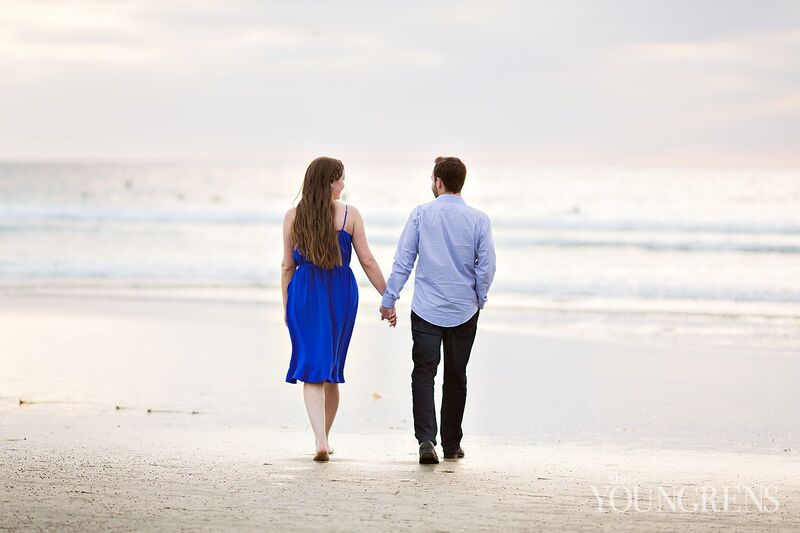 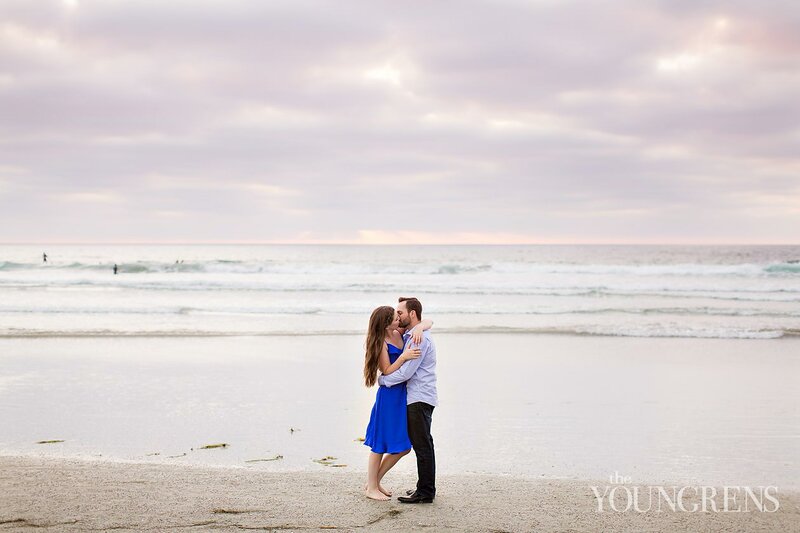 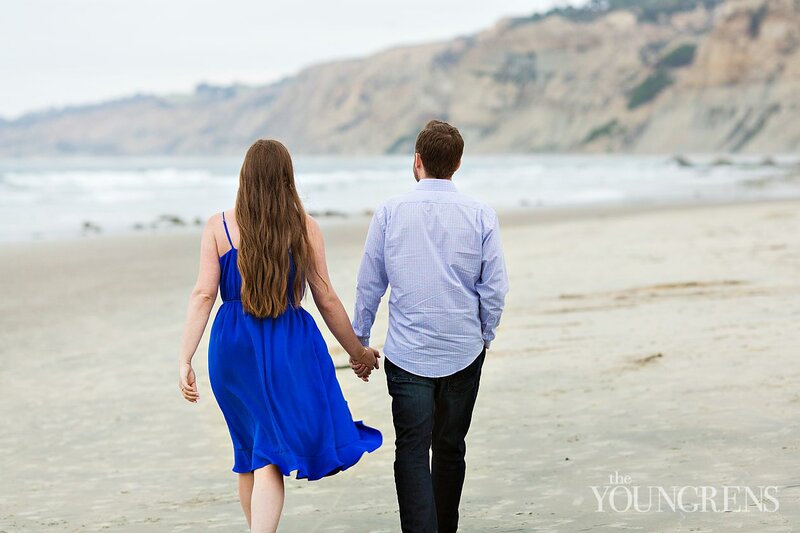 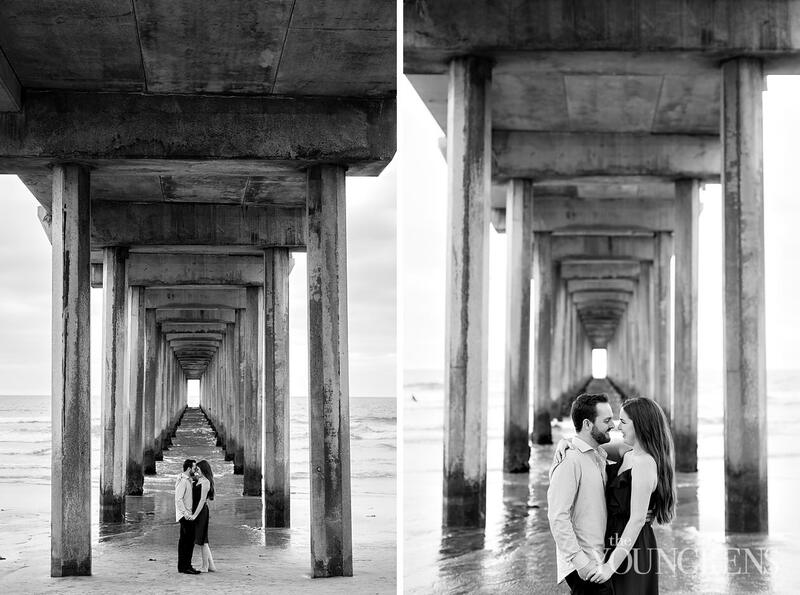 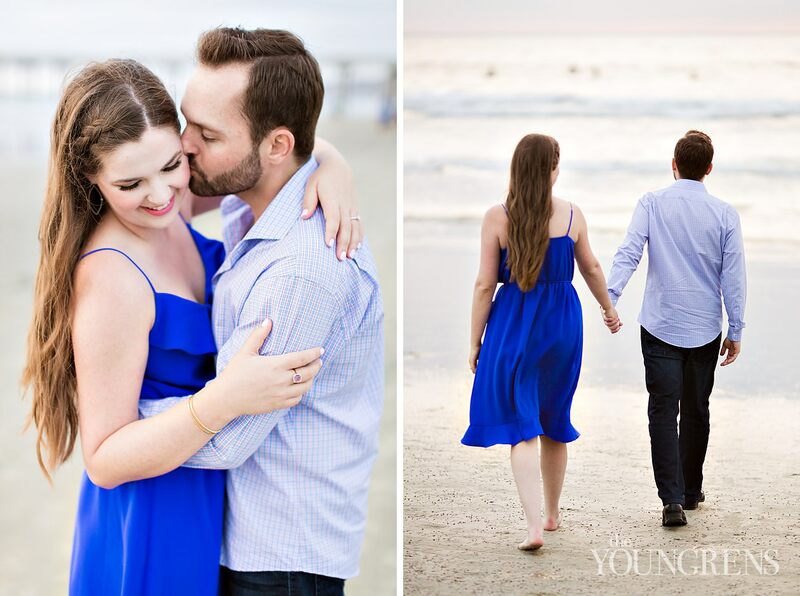 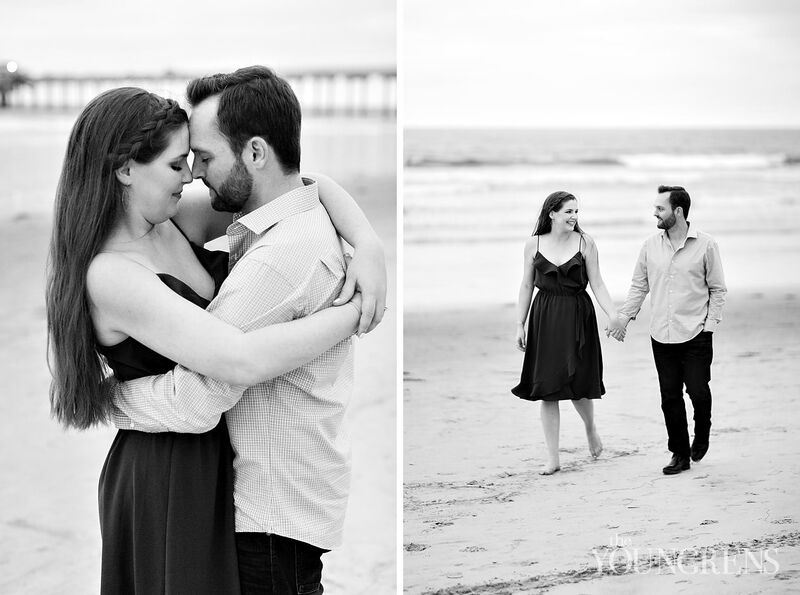 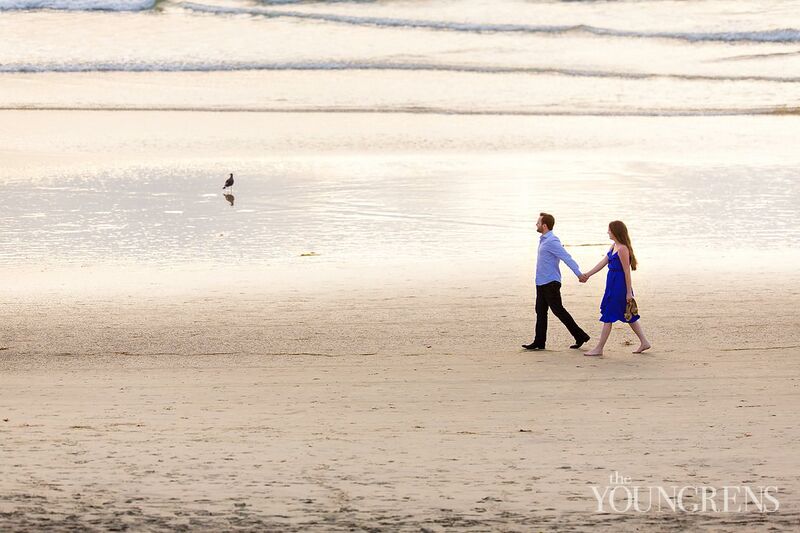 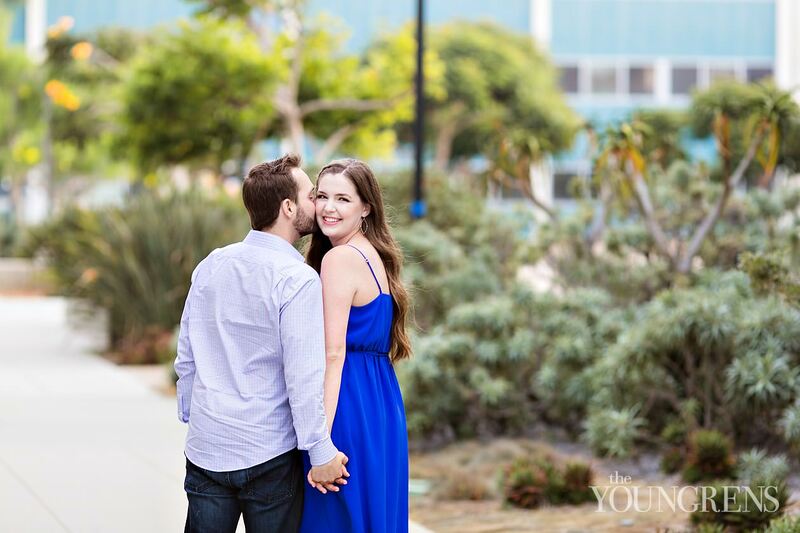 We walked the beach together just over a week before their wedding day, and it was just so full of giddy smiles and happy faces!And friends, if you think Dan and Marilyn are joyful here, just wait until you see their beautiful wedding day at L’Auberge Del Mar! 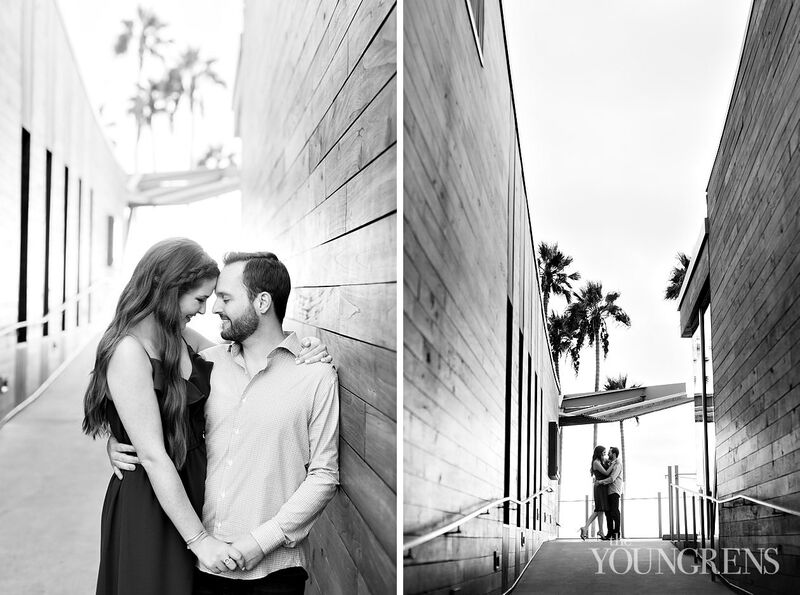 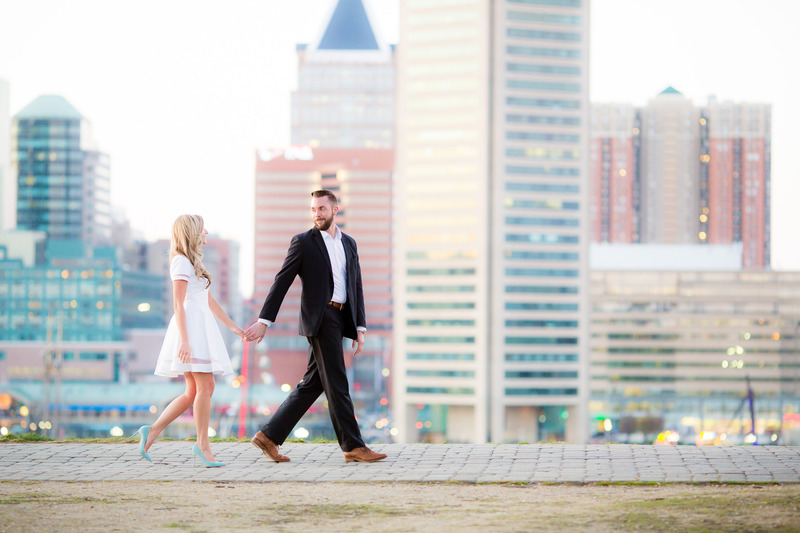 It’s coming to the coming to the bloggy-blog soooooon!